I am a solicitor and dispute resolution specialist, working as a mediator and collaborative lawyer as well as an arbitrator. 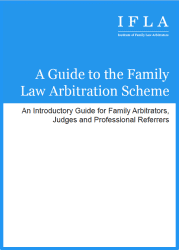 I am a member of Resolution, of the Law Society Advanced Family Law Accreditation Scheme, and a member of the Association of Contentious Trust and Probate Specialists. I am a Deputy District Judge, meaning that I sit part-time in the county court, often deciding divorce and finance cases. 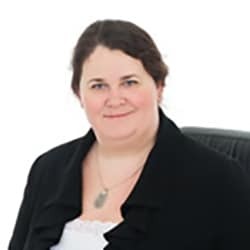 I have a wide experience of representing and advising clients on the financial implications of divorce and relationship breakdown, particularly in relation to family businesses, pensions and the arrangements for the family home. I don’t act only for the super-rich; I have a real appreciation of the problems separating couples face when money is tight, and debt is an issue. I see arbitration as the affordable choice for those who want an efficient, cost-effective solution, avoiding the expense and frustrations of court. Part of the benefit of arbitration compared with traditional litigation is that you don’t have to put up with the daunting, sometimes intimidating formalities of the old-fashioned court process. As an arbitrator, I’m approachable and straight-talking. 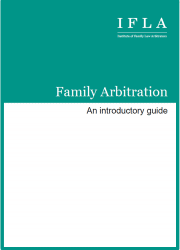 As a mediator and collaborative lawyer, I bring insight and communication skills into the arbitration process, and as an experienced matrimonial solicitor, I’m knowledgeable, sensible, and down to earth.